When I read the book's teaser, I admit having low expectations to the story. A group of adults decided to escape from their much occupied life. They separately headed to a Beach House in Nantucket, clueless of what to expect of their short summer vacation. At first, this idea is something I can’t accept. Adults who decided to break free like a restless and impulsive teenage kid? Worst of all is doing it with people you never met. Perhaps, my biased perception is influenced by my conservative Filipino upbringing of not easily trusting strangers. However since the book is from Jane Green, I decided to give it a try. Daniel left and devastated her wife, Bee. Why Daniel decided to part ways with Bee? I'll leave it for you to discover. Daff is coping with the pains of being divorced. At the same time, she is facing the difficulty of dealing with her rebellious daughter. Michael, the lone son of the Beach House's owner, went home leaving his dream career in New York. He is apparently escaping the emotional consequences of his affair with of all people, his boss. Nan, owner of the Beach House and Michael's mom, is in the brink of a serious financial trouble. Years after her husband’s alleged suicide, Nan was burdened with his debts from gambling. She was able to survive this problem but after some time, other financial issues plagued her again. As much as she values her solitary life, she was forced to turn her beautiful home to her own life sustaining device. She opened her home in Nantucket to vacationers with the intention of generating income. However, we all know that life is full of pleasant and unpleasant surprises. Nan found something more valuable than money with Daniel, Bee and Daff. What happens when a group of equally troubled and problematic people are gathered in one roof? As each character tries to settle their issues in life, friendships and relationships later developed. As they relate the story of their lives, the readers were treated to a lot of realizations about love, family life and relationships. More often than not, people perceive family issues so common and overrated. There's nothing new with divorce, family life, rebellious kids, anger and betrayal. They are just same old issues morphed in the life of another person. 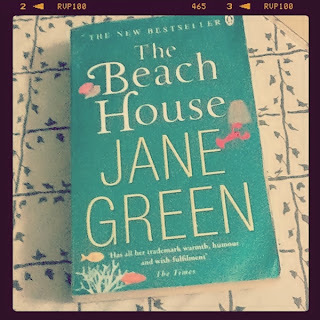 Jane Green however was able to thread the issues we often neglect to an endearing and realistic story. I want to emphasize the concept of being realistic because some authors tend to exaggerate the story's events to pour out intense emotions from the readers. With this book, exaggeration was rather replaced by reality. I was particularly amazed on how Jane Green depicted the life of a woman after a painful divorce, as reflected in Daff's case. After years of being a dedicated wife and mother, how would you start life again? How will you face problems that emerged from another person's betrayal? How will you not feel anger and resentment to the man who is adored by your daughter, who now happens to hate you the most? Daniel is torn between being true to himself at the expense of hurting his wife and children. Michael’s attempt of trying to escape the guilt of wrecking her boss’ marriage unexpectedly led him to find his one true love. As in the case of Nan, how will you deal with life when it forces you to cross between the rivers of past vs. present and present vs. future? 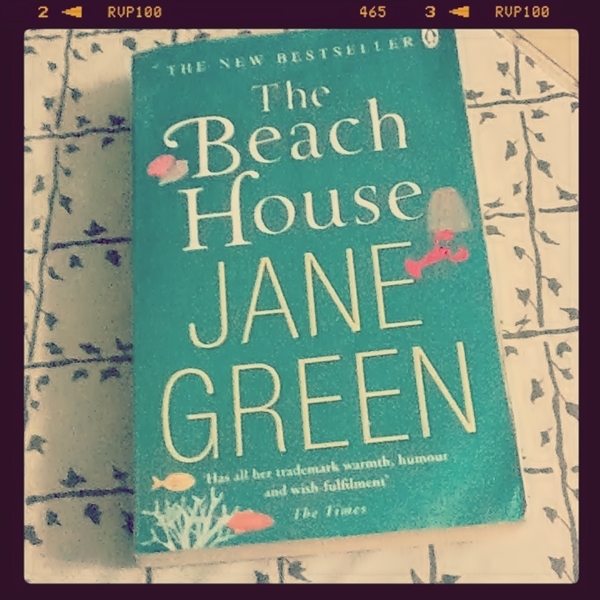 The Beach House surpassed my expectations for what I thought as a mediocre story. What I perceived as a shallow chick lit is ironically rich with elements of character development and realizations about family life. Though the book is overflowing with issues about life, it never appeared too boring and preachy. Jane Green crafted the story very interesting for everyone. More importantly, the book also possesses the element of unpredictability. In my opinion, writers who can provide a great but realistic ending without sending clues to the readers are very talented and creative. If I will rate the book, I’ll give it 4 out of 5 stars. I recommend it to females of different ages. The book will enrich every female with so many learnings about family life, relationships and friendships. Linking this post to Ricki's Literary Friday. :D Thanks so much for linking-up!!! This sounds like a great read. I like the fact that it is not overdramatized. Have you read any of Jane Green's other books? You seem familiar with her, and I am not very familiar with her. I will check her out on Amazon! Thanks for a well-written review, Diane. PS I am hosting a giveaway!